If you plan to sell your business someday, think about getting it ready to sell long before you approach a buyer. People typically fix their homes prior to putting them on the market and clean their cars prior to the sale.You should treat your business the same way. If you work to make your business sales-ready, you will make it much more appealing to potential buyers. Here are ten key steps you can take to improve the sales value of your business. Step 1: Focus on profits, not debt. Business buyers will typically value a business based on a multiple of profit. Run a profitable business in the years leading up to your sales target date. If you need to take on debt to buy new equipment, for example, make sure the new equipment provides a good return on investment. Try to pay down all debt prior to seeking a buyer. Get tips here on improving your cash flow. Step 2: Pinpoint areas of your business that need improvement. Step 3: Professionalize your business processes. You should document standard procedures to ensure continuity of operations. With standard procedures, you make it easier to cross-train employees. Standard operating procedures and employee training improve your businesses efficiency. Moreover, documented procedures enable potential buyers to see how your company operates. Make sure you define your sales or new business development process. A proven sales process demonstrates that your business has ongoing revenue potential. Step 4: Work to keep key employees. You want to retain your best folks. You should also place your best employees in charge of your long-term contracts. Pay these key people enough to keep them during the sales period. Step 5: Sign long-term contracts. Leading up to the sale, capture as much long-term business as you can. When you can demonstrate ongoing revenue for years to come, you increase your business value. Step 6: Polish your brand. Make sure your website is very professional and current. To check you out, buyers will review your online presence. Buyers will also consider your business’s reputation. If you have bad online reviews from customers on Yelp or from employees on Glassdoor, take care of that. Don’t attack any online criticism. You should instead, own the problem, apologize, and explain how you are correcting the issue. If you get clients coming to your office, make sure your décor is appropriate for your business. For example, a retail firm should be tidy, a dentist office should be hygienically clean, and an accounting firm should be very organized. Step 7: Understand your value. You need to be realistic about your value, which the market defines. One way to determine how the market will value your business is to hire an appraiser. A qualified appraiser will give you a true picture of how much your business is worth, currently. If you have an appraisal done, prior to speaking with a buyer, you are a step ahead. Most buyers will seek an appraisal from a third party before they consider purchasing a business. Step 8: Time your sale correctly. The best time to sell a business is when it is doing well. If you wait until you start losing key accounts or your market turns south, you will not get top dollar for your business. If you sell when your sales are strong and growing and you have a great team in place, you will get the highest price for your company. Step 9: Identify Strategic buyers. A great way to maximize your value is to pinpoint strategic buyers. These buyers want to buy your business for something other than the revenue stream. These buyers seek to acquire your company because it provides them with something they desire or lack. For example, you operate in a market where the buyer wants to expand or, you offer a complimentary service. If you can identify potential strategic buyers early, you can enhance your offering. You could acquire new customers that appeal to your target buyer. If you have a unique technology, you could apply for a patent to enhance the intellectual property you can sell along with your company. Essentially, your objective is to enhance the elements of your business that appeal the most to your strategic buyer. Step 10: Promote the right value proposition. Any team buying a company will have an overriding reason for their interest in making the purchase. The buyer could be a strategic buyer as mentioned above or have other interests. Your mission is to determine the buyer’s key motivation. The buyers may say your business fits several criteria; however, they often have a main interest. You should determine that main interest. Your business is in a great location. You have built an incredible sales team. Your company has an outstanding reputation in its market. You have a strong revenue stream. Your company has built an innovative technology. You have a stable of long-term customers in a desirable niche. Once you understand the buyer’s main point of interest, you can then stress that value to the buyer. Need help getting your business ready for sale? We know that selling your business can be difficult. 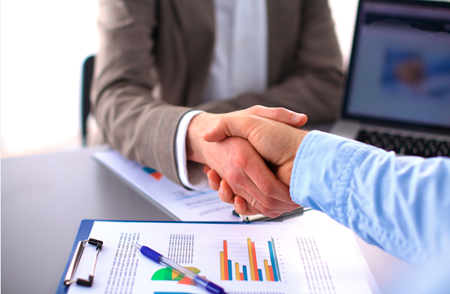 We have purchased several accounting firms over the years and understand the process first hand. If you need any help in getting your accounting in order prior to seeking a business buyer, please contact us.